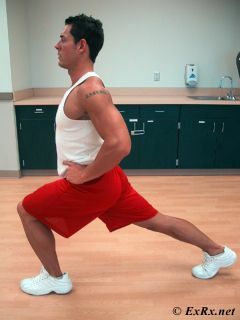 Lunge with one foot far behind other foot. 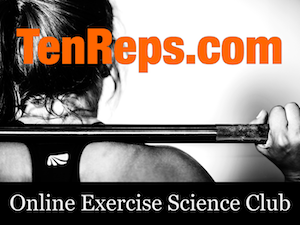 Squat down with chest high, straightening hip of rear leg by pushing hips down and forward. Hold stretch. Repeat with opposite side. Feet should be far enough apart to keep knee from traveling too far beyond forward foot. Keep torso upright, close to vertical. Keep forward foot flat on floor and rear foot pointed forward. Soleus of opposite leg may be stretched if ankle is fully dorsal flexed.